Special to the DailyBreckenridge Massive Beer Festival runs from 1-5 p.m. Saturday. 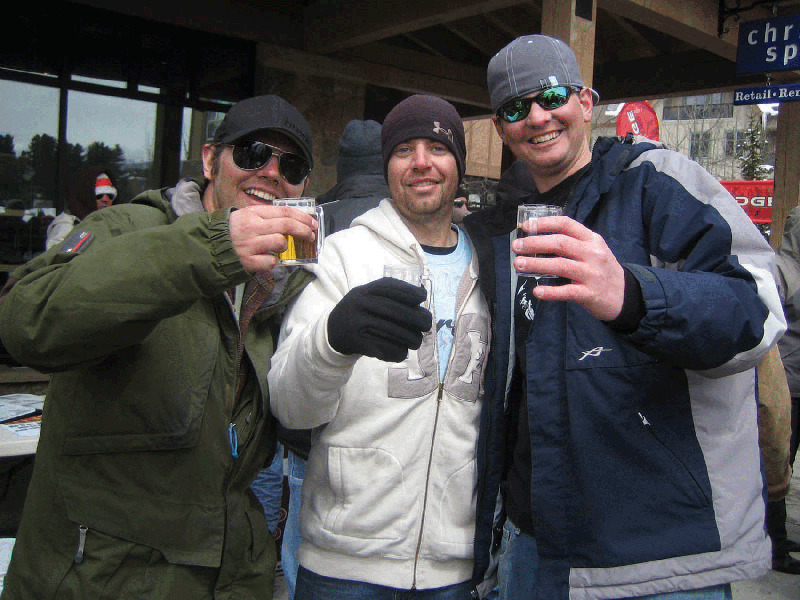 Louisiana laid back meets Breck brews at the Breckenridge Massive Beer Festival Saturday. Malcolm Welbourne, aka Papa Mali, salutes the Big Easy at 3:30 p.m. with his original music, steeped in the traditions of New Orlean’s funk. Papa Mali grew up in Shreveport, La., “where absorbing the blues along Bayou Pierre was just as much a matter of course as chasing the mosquito fogging truck with friends ” and equally intoxicating.” The rhythmic grooves of the Meters and Wild Tchoupitoulas bit him at the early age of 11, while he spent summers with his grandparents in New Orleans. For 20 years, he has been friends with the family of the Neville Brothers, and recently he has worked with members of the Meters and The Dirty Dozen Brass Band. Many listeners compare Papa’s music to the sounds of Dr. John and the Meters. “It’s very danceable, and yet it still has elements of something that ties me to my culture and my past, so it’s a lot of fun,” Papa Mali said. “Generally speaking, people like to cut loose and party,” he said of his music. Big Richard, a local Summit County band, starts the party on Main Street Station Plaza at noon. The six-piece band doesn’t like to pigeon-hole its sound, but when pressed, they admit it’s traditional rock ‘n’ roll with a big sound. Motorhome, a Fort Collins band established in 2006, incorporate plenty of banter into their live shows, full of dares, one-upmanship and edgy humor. Colorado Music Buzz calls them a band to watch. But what about the brews, you ask? Unlimited beer tasting (or guzzling, if that’s your style) takes place from 1-5 p.m. If you want the royal treatment, 250 VIP mugs are available for $55 ($75 at the door). They include an extra hour of sampling, beginning at noon, private tastings with the brewers, a private stage-view patio to kick back on and a catered lunch at Breckenridge’s new Himalayan Restaurant. This year’s brewer lineup includes Alaskan Brewing Company, Aspen Brewing Company, Avery Brewing Company, Backcountry Brewery, Boulder Beer Company, Breckenridge Brewery, Bristol Brewing Company, Durango Brewing Company, Fly Dog Brewery, Grand Lake Brewing Company, Grand Teton Brewing Company, Great Divide Brewing Company, Left Hand Brewing Company, Michelob Brewing Company, Odell Brewing Company, Oskar Blues Brewery, Sam Adams, Ska Brewing Company, Steamworks Brewing Company, Stone Brewing Company and Wolf Rock Brewery.